When trying to locate a particular grave or gravestone in the Wills Cemetery, first go to the Directory (current as of 2013) that lists all burials in alphabetical order. Beside each burial is a letter, (A to I). Then find the aerial view of the cemetery with the sections marked A to I and find the section that corresponds with the directory. When a person goes to the Wills Cemetery, they will find white signs with large black letters denoting the sections. Hopefully this will make the person’s search much easier than having to walk the entire cemetery to find the gravestone that is being searched. A Directory of names and a sign dividing the cemetery into sections is also located at the Wills Cemetery on the west side of the brick maintenance building. Click here to download a copy of the latest directory of whom is located where. This file opens in a .pdf format. Search for the person you are looking for and you will find the section they are located in the cemetery. 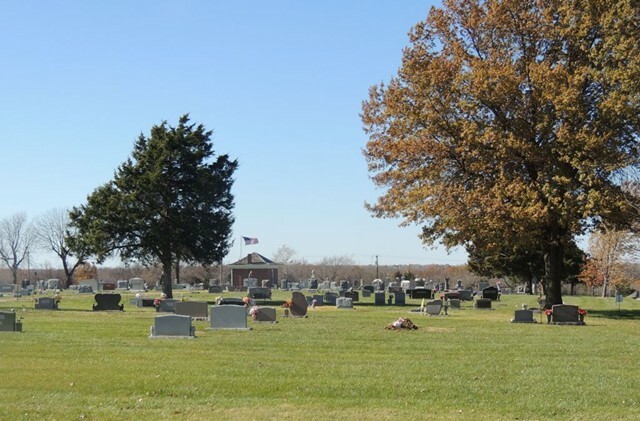 Click on the link below to open an aerial view of the cemetery with labels of each section so you can find the area you are looking for. Current Cemetery layout – Click here to download an aerial view of the cemetery with sections labeled on the map. Using this along with the directory above you can get a general idea of where people are located. Transfer of Ownership – Click here to download a copy of the transfer of ownership form.